Multi-talented musician Hilton Schilder, 58 years old earlier this week, is, and always was, “hard-wired” for sound. Genetically, it’s in his DNA. It’s his pedigree. Sometimes people are described as having learnt at the feet of the master. In Hilton’s case that was true both literally and figuratively. As a toddler, he sat tucked beneath the keyboard in the family home while father, legendary jazzman Tony Schilder, tickled the ivories above. The Schilder name is royalty in South African music, in particular, the jazz genre. Anyone growing up in Cape Town in the Sixties would have been entertained by pianists Richard or Tony, bassist Philly or drummer Jackie. Hilton has inherited that legacy. It was ever going to be thus. Today, 55 years later, the three-year-old who played the drum brushes on a cardboard case at his father’s feet is one of the country’s most sought after musicians. He has played the breadth of South Africa and extensively overseas and all this he has achieved with no formal training as a musician. “But,” he says without a hint of arrogance, “ I come from the best university possible. King of the keyboards, a study in concentration. Photo: Rashid Lombard. “I had my uncles and my dad which was fantastic and the music they used to listen to. And the friends they had like Winston Mankunku, Gilbert Matthews . . . I grew up with all those guys. There was always this constant stream of musicians coming to our house in Abbey Rd in Wynberg. “So, I think I started playing instruments at the age of 3. That’s when I decided I wanted to play music. That’s what I wanted to do, music and art. Hilton never really trained for anything else either. When he left school he worked briefly as a signwriter with an uncle. His music career started with percussion and the late jazz drummer Monty Weber had a big role in it. “Monty was playing with my dad at the time and he gave me a set of brushes. “I had a brown cardboard school case and I used to sit cross-legged at the feet of my father as he played the piano. I would be swishing the brushes on the case. “I was playing on the drum kit with him when I was nine. Monty used to leave the kit at the house in Abbey Rd and when rehearsals were over, I would be on it. 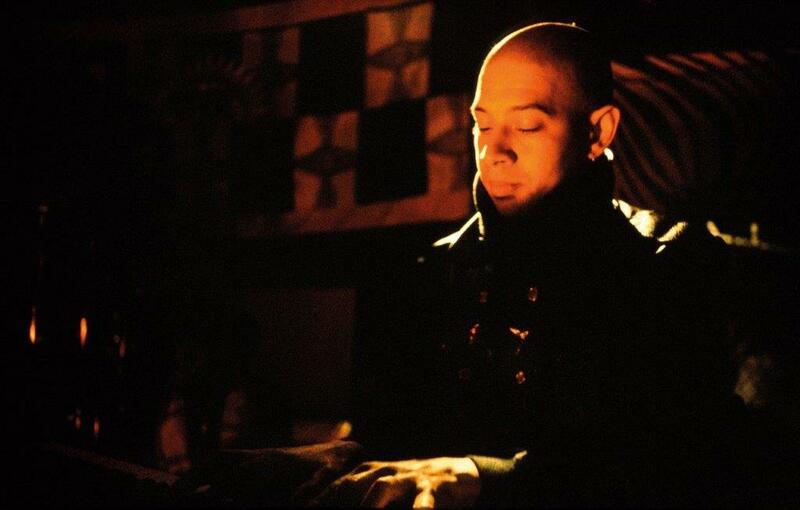 Whilst he may have started with drums, the “piano was an ever presence all through my life”. “For me, there was nothing better than sitting at my dad’s feet watching the drummer, watching the saxophone player. I would be at all those rehearsals, not knowing really that that I was learning. Hilton’s first group was with some school friends in an outfit called Airforce. “We actually did original stuff. Just three-chord stuff, but it was original music. It was a rather short-lived experience. On the day of the concert, one of the musicians came there drunk. Not nice, we were just schoolkids and I was the youngest. “We also had problems with badly tuned instruments. Fortunately, the piano pieces saved the day. “Soon after that my dad asked me to come with him one night. He was playing with the Four Sounds with Cliffie and Basil Moses, Billie Dollie, Mike Josephs and Frank Williams. “They were playing at the Kensington Lounge at the time. Man, that cigarette small, that atmosphere . . . I was addicted. “That’s when I started taking the music seriously. But I didn’t want to play piano. I was still totally intimidated by my dad and Chris and Richard. I thought ‘no, I could never play like that’. “They were encouraging me to play. But you know, with Schilder toppies: their word of encouragement is a big thing. When they give a compliment, it is a really big thing. “I’m the same now. We expect people to be able to play. Richard was the teacher. He had patience and I learnt a lot from him about harmony. “I preferred the lifestyle of the percussion, all macho like. The piano seemed like, not nerdy . . . I wanted to be like my dad, but it was a bit daunting for me. I used to think, ‘I can’t play like that’. And yet, I was drifting towards to it. He left his dad’s group to join Trevor Parker, Mac McKenzie, Alwyn Dyers, and Reuben Samuels in Big Daddy. It was around 1978 and he was still at school. “My mom was not very happy. In fact, she really pissed off with it. She used to go on at me to ‘get a job, get a proper job, something you can fall back on’. As was the nature of the game back then, musicians chopped and changed bands as quickly as they changed chords. Over a few years Hilton found himself with Big Daddy, Love Supreme, Soft Landing, Mac and The Genuines and Soft Landing. It was while he was in Big Daddy that Mac convinced him to play piano. 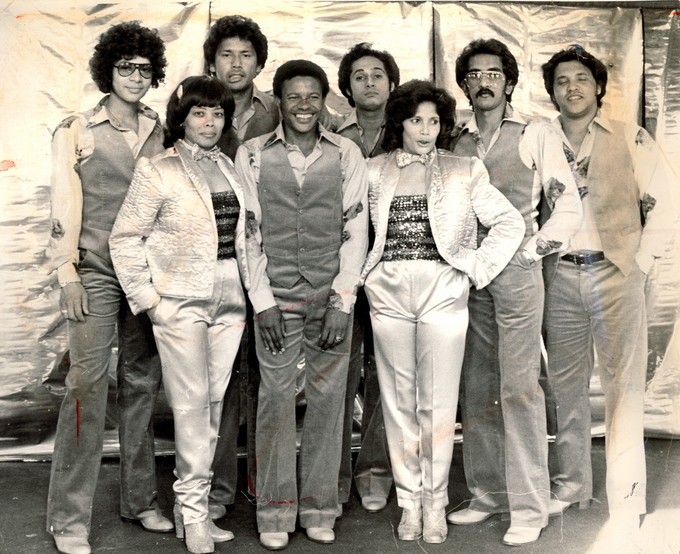 Around 1979-80 Hilton started hanging with guitarist Russell Herman and Tony Cedras who had formed a group called Estudio. “That was another ‘university’ for me, an absolutely incredible university. Russell was one of the most talented musicians this country has produced and I was fortune to be part of Estudio. “It kinda changed my life. I couldn’t look jazz in the eye any more. There was such amazing music coming out of this country and it wasn’t necessarily swing jazz, you know what I mean. Thereafter Hilton formed African Dream with Brian Erasmus, Steven Erasmus, and Joe Fynn as the core. Tony Cedras and Jonathan Butler joined them later. They did a few memorable concerts but, says Hilton, the packed-out one at Joseph Stone was a “sensational event”. In the unrest period of the mid-Eighties while with The Genuines, their music reflected the times. They recorded stirring tunes like Die Struggle and Narrow Escape, which received popular acclaim but was banned from broadcast. Hilton acknowledges that people associate him and his music with the jazz genre but he is uncomfortable with the tag. “I wouldn’t say it is incorrect. I would say it is a part of what I am,” he says. “When I say I am a jazzman I’m closing myself off to all the other avenues that I compose in because I compose using classical influences, folk music, Middle Eastern music. Calling me a jazz musician would limit me to a particular style. “I grew up with mainstream jazz and I will always love that music. But you can’t put me in a box and call me a jazz musician because I play rock as well. His views on the rising stature of ghoema and its acceptance as an essentially Cape Town sound is pretty clear cut. “Ghoema can be seemingly simple, but you know how difficult it can be to play ‘simple’. “It is important to improvise over that simplicity without complicating. Now a lot of jazz ouens can’t do that. “Where is it now in terms of acceptance? All I can say is, I’ve experienced playing overseas to South Africans who weren’t exactly enamoured of the sound when they were here. They go crazy when they hear that peculiar Cape Town sound. It reminds them of home. “I’ve composed quite a few ghoema tunes on the Mr Mac and the Genuines album, there are a couple of real klopse tunes on it . . . Ek het ’n Bra, Groovy Groovy. “Ghoema has garnered some respect among the locals but it is when you play it for the foreigners you just see how much appreciation there is for it. “Madala Kunene, one of the forerunners of maskandi music – Durban style – plays it whole night and just speaks Zulu to the people. He has taken his folk music and made it to be respected South African music. At the moment Hilton is playing with another multi-instrumentalist Marc Fransman (piano, sax, accordion, guitar) and Claude Cozens on drums. He has at least 10 albums in his own name including three solo piano albums. He recorded in Switzerland when he was based there with a group called Iconoclast. The band included trumpeter Alex van Heerden who died in 2009 aged 35. “I regard Alex as a true soulmate when it comes to music. He came to stay with us when he was 19 years old. He was from Port Elizabeth. Robbie Jansen and I were playing there once and we heard his great trumpet playing. Hilton Schilder with one of his first groups, Love Supreme in which he was the percussionist. In front, from left, are vocalists Elspeth Davis, Gerald “Space Marney”, and Deelah Ariefdien. At the back, Hilton Schilder, Issy Ariefdien (guitar), Chris Schilder (piano), Bernie Lawrence (bass), and Dudley Francke (drums). Closer to home, Hilton speaks glowingly of the extended Schilder family, the career paths of his two children, and the similarities he sees in his grandson. “There are four generations of the Schilder family active in music at the moment. Chris is still playing and he is nothing short of formidable. Eldred, Richard’s son, is still playing. Then there are cousins doing gospel stuff. “There is my dad’s generation, my generation, my kids, Vaughan Ceasar (son of Richard who married Schilder). “My kids didn’t pursue a professional music career but my daughter, Duende, did lay down vocals for me on my new album. Duende, in flamenco means ‘the feeling that you get from the music’. “My son is into IT, a computer whiz. But he started playing guitar recently. I gave one of my guitars to him. They have the music in them. It’s resting there. “My uncle Richard was the only one who had any formal training. He was teacher as well. I taught myself to read. I’m not really good at it but if I was given something to work out, I can do it. I’ve got a good ear. I even play classical music, I can sit down and analyse it. He has done research into family. 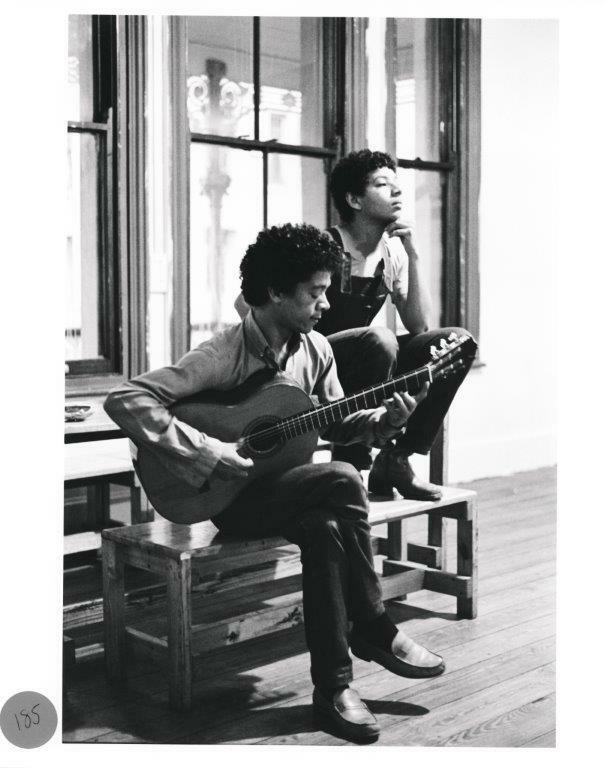 His great-grandfather came to South Africa from Holland where he was part of the Sinti (gypsy) tribe (guitarist Django Reinhardt was from it too, he says). Does bearing the Schilder name bring any pressure on him or Chris? I wouldn’t call it pressure, I would say it is a duty. You have to pass it on. You have to carry on. Like, you know, it gives me great pleasure when I see the grandson take to drums like a duck to water. I’m expecting things from him. I’m going to show him things. Our talk turns to his penchant for playing “different” instruments, in particular the bows. “They are not obscure instruments, it is just that people have not been exposed to them. I’ve been responsible for exposing people to these instruments for the past 35 years.” (One bow he showed me is 20 years old). He says the instrument maker, Ben Petersen, is “an absolute craftsman” who uses different kinds of woods that produces different tones. “I have three favourite bows, each has a distinctive sound and using the mouth also changes the sound. In all, I play about 16 instruments including the cello, drums, percussion, flute. When he talks about Cape Town music lovers being locked into listening to Seventies and Eighties pop hits played by the radios station and bands doing cover versions, he is loath to be over-critical. “Bands make money doing that but that’s not my inspiration,” he says. “I don’t condemn anybody if you have to make a living but after a while you have to sit back and ask yourself ‘what am I doing for music in my country. Am I going to carry on exploiting my people and keeping them down because that’s what it is. As a composer, Hilton says his mind is most productive when he lies in bed at night thinking. “Now that I’m on the cannabis oil (he has had his brush with cancer), it puts me in a good frame of mind, it allows me to think clearly. I can also sit at the piano and give it a go. In May last year, he had a big operation that almost blew his chances of providing the music for the stage adaptation of journalist Sylvia Vollenhoven’s much acclaimed book , The Keeper of the Kumm. The book deals with the spiritual world of their African ancestors. 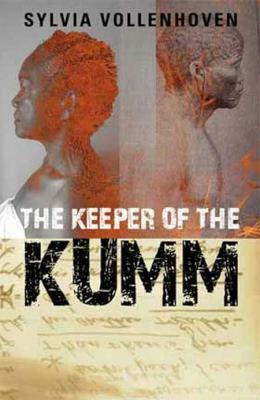 Sylvia Vollenhoven’s top seller The Keeper of the Kumm, for which Hilton Schilder wrote the music for the stage adaptation. “That was the third score I had done for a stage production. But it was touch and go, Sylvia was worried that I would not make it for the performances. Hilton has a few projects on his plate these days. One is the Jazz Safari events he hosts at his home. Music lovers, mainly tourists, come to his place – sometimes up to 30 people – his wife cooks a slap-up feed and he lays on the music. He is also putting the finishing touch on his latest album called Alter Native which should be out in the next few months. “I have been doing Europe all the years. Now I want to get my foot in the door elsewhere. Doing the States is almost like a calling. People I know over there have been pleading with me to come over. Hilton says his career as a musician is starting to pay off “but I can tell you, there have been hard times. My wife was working, so that was a saving grace. Still, we managed to put our kids through school and put food on the table. If you want to catch Hilton’s band, you could do yourself a favour and toddle off to Vernon Castle’s new venue called My Piano in Rondebosch. Hilton’s got a regular Sunday night gig there. Incidentally, the first tune Hilton composed (when he was in matric) was called Have I Ever Let You Down and Vernon Castle recorded it. All material on this blog is copyrighted. Any use of material on this blog requires prior permission. Interesting read. Thank you for writing these stories Warren. Hilton is a musical genius. Great research into Cape Town music royalty. I still relish an evening in Woodstock when Tony warmed up for a performance by running elegantly through Randy Weston’s little-known Jazz waltz, “Little Niles.” It was the only time I’d heard this composition played live ; yet Tony delivered it with such ease.